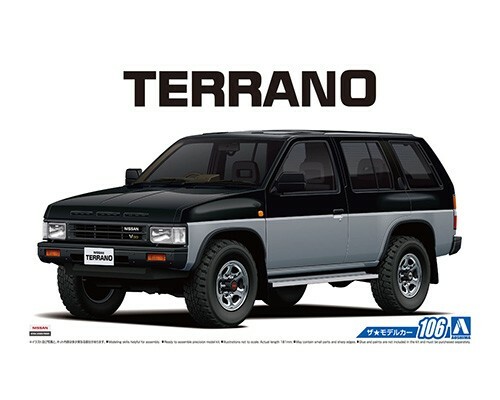 The 1st generation WD21 Terrano was based on the 9th generation D21 Datsun truck. Designed by the North American design studio, it resembled an American style body. 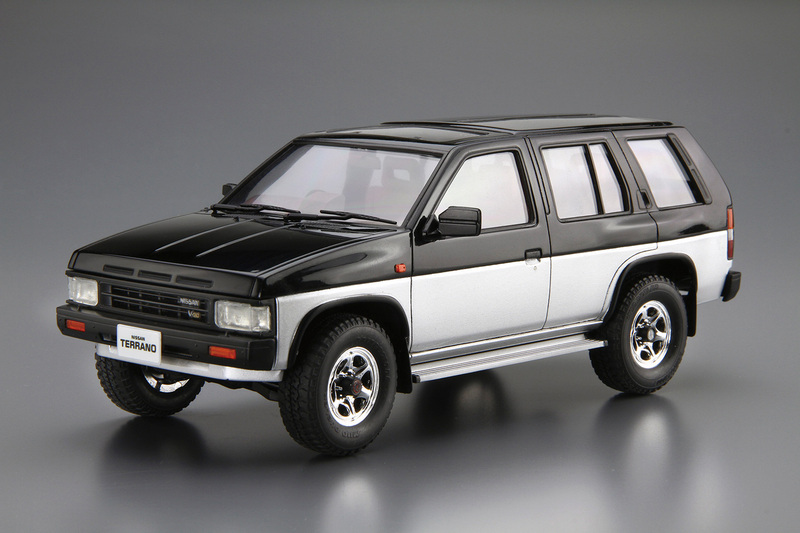 Released in 1986, it soon became a popular model. This kit replicates the V6-R3M grade with 4-door and V6 V30E engine in its catalog specification with enlarged front bumper, grille guard and fog roof. 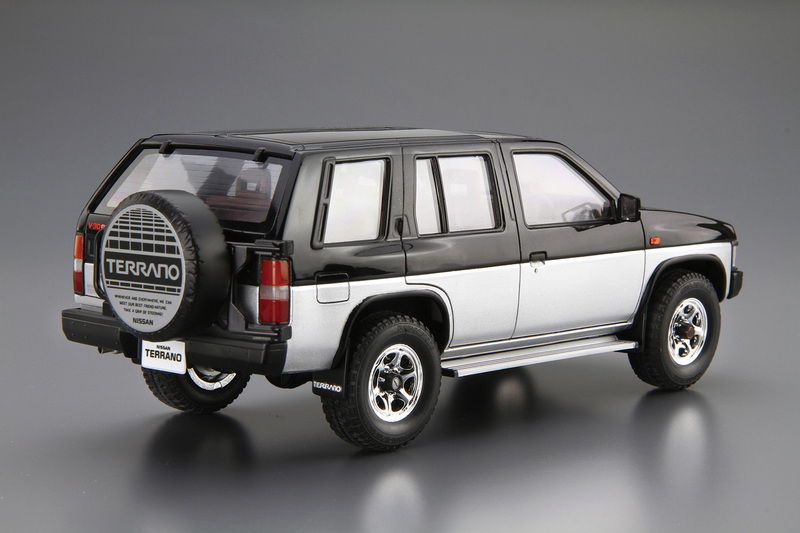 Also with window masking seal and aluminum wheels included, you can build the Terrano of your preference.